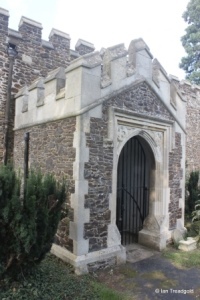 The original village of Linslade dates back to C10 and a holy well in the vicinity attracted pilgrims to the area. 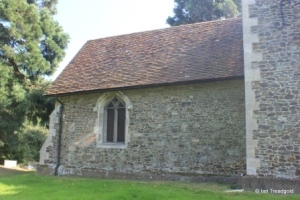 The earlier C12 church on the site was rebuilt in C15 to its present form. 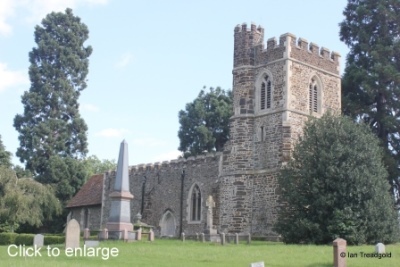 With the coming of the canal and then railway revolutions in C19, the village migrated to its present location adjoining Leighton Buzzard leaving the church now known as St Mary in Old Linslade isolated and standing guardian over what is still the parish burial ground. 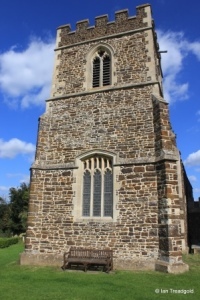 The church is situated to the north of Linslade in a bend on the Grand Union canal. The church sits on slightly higher ground, hence the bend in the canal around the church. Parking is by the side of the road or in the cemetery car park. 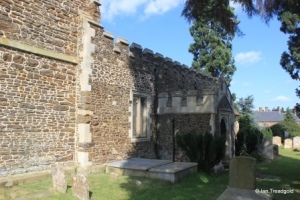 The church consists of a chancel, nave, west tower and south porch. The chancel is around 24 feet long by 12 feet with the nave adding 45 feet by about 19 feet in width. The tower is about 10 feet by 11 and around 35 feet high. 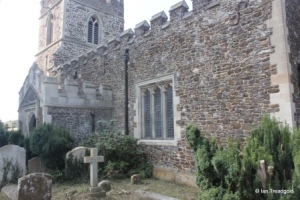 The south side of the nave has two restored windows on either side of the porch. 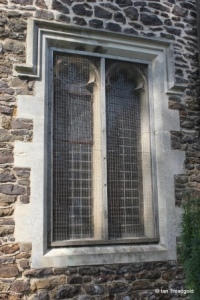 The eastern window is of three cinquefoiled lights under a square head and the western window is similar but of only two lights. 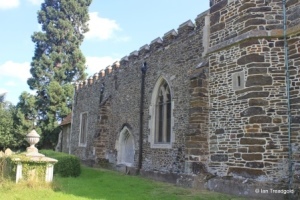 The south porch dates from C19 restorations and has quite an overbearing embattled parapet in comparison with the parapet around the nave and tower. 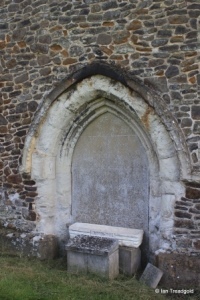 The outer doorway is under a square head with quatrefoil designs in the spandrels. 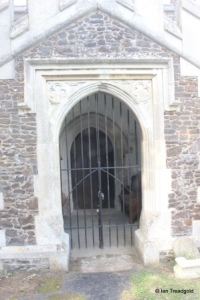 The south doorway itself dates from C15 under a two centred arch. 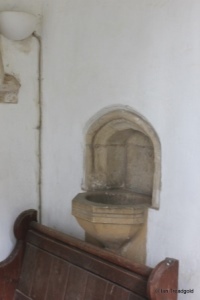 In the east wall of the porch is a holy water stoup dating from C16. The west tower dates from the rebuilding works of C15 and is of three stages. 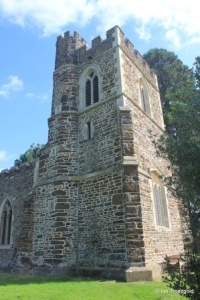 There is an internally accessed semi-octagonal stair turret in the north-east corner. The belfry openings are of two cinquefoiled lights with quatrefoil designs in the head under two-centred arches. The original bells were transferred to St Barnabas in Linslade when the tower was added to that church in 1868 leaving a single bell. 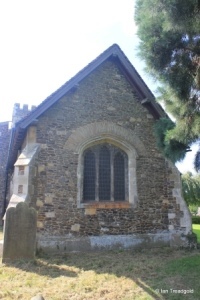 The north side of the nave has two windows surrounding the blocked north doorway. 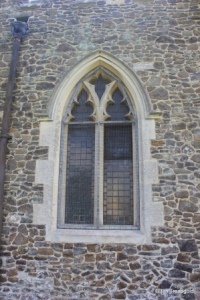 The western window is modern and of two cinquefoiled lights under a pointed arch. 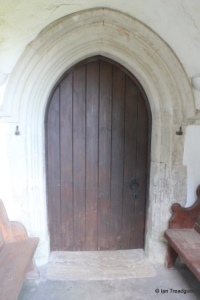 The now blocked north door is under a pointed arch. 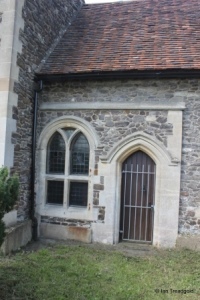 During restorations of 1876 this doorway was in use and given a porch. However, subsequent restorations in 1897-8, the church entrance was moved to the south and this doorway was presumably closed at that time. 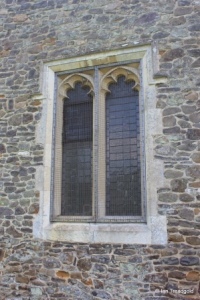 The modern eastern window of the north side of the nave matches that on the western side of the south porch and is of two cinquefoiled lights under a square head. The chancel is tiled and has a single window to the north. 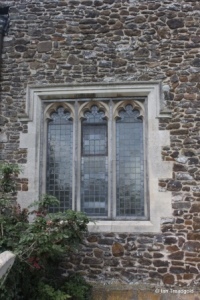 Dating from C15, the window is of two cinquefoiled lights under a four-centred arch. The east window is of three cinquefoiled lights under a four-centred arch. 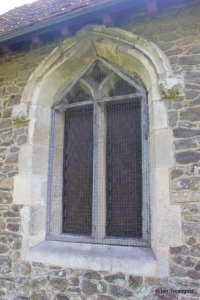 The south side of the chancel has an eastern window to match that on the north side. Towards the western end of the chancel is a priest’s door and two-light window under a round arch with a transom forming a low window. 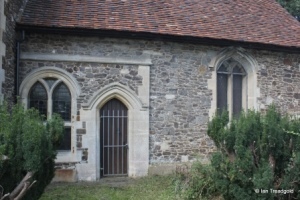 The door and window extend forward from the line of the chancel.